We love a party! 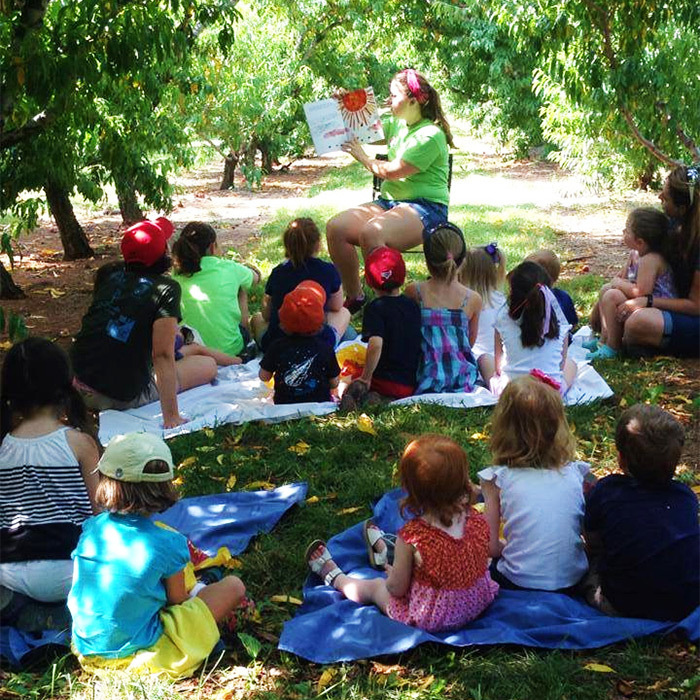 Chiles Peach Orchard hosts several events throughout the season. Pick your favorite, or pick them all! Visit our Event Calendar and make your plans now! Pick your own…pancakes! Our scrumptious pancake breakfasts include all-you-can-eat pancakes with seasonal fruit topping, plus a side of sausage and coffee/milk/oj. 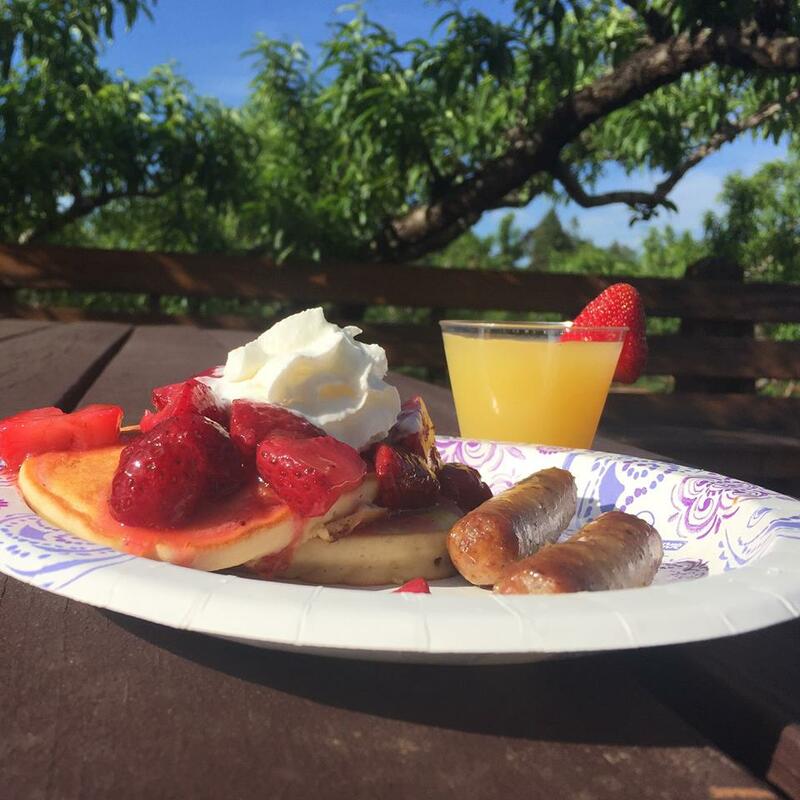 Join us every weekend for breakfast with family and friends at the Orchard! Wind down the work week with live music in our Peach Tree Courtyard, right next the Bold Rock Hard Cider and Prince Michel Wines tasting rooms. Bring a lawn chair or blanket, or set up camp at a picnic table and enjoy the evening! Every first Friday of the month, for every glass of wine or cider purchased, $1 is donated to Meals on Wheels! Fresh is best! The first weekend every August, we celebrate the peak of the peach harvest with delicious homemade peach ice cream! This is a major fundraiser event for the Crozet Lions Club, who returns the money to the community. Come early, as this event has been known to sell out. We love giving back to our community! Each year we host a 5k race at the Orchard to benefit our local Rescue Squad. We partner with our friends at Crozet Running, and many other local businesses and organizations provide financial and day-of support. The 5k is open to all ages and is a family event for many. In the past 3 years, we’ve raised over $5000.00 for this worthy organization. The best part of the day (besides feeling good about helping the rescue squad)? You get to eat pancakes—as many as you want—afterward! Help us welcome autumn with lots of fun activities for children and adults alike. Watch apple butter being made the old-fashioned way (and help stir the pot! ); pick your own apples and pumpkins; take wagon rides around the farm; enjoy a tasty lunch; listen to music, and enjoy your day outdoors! Let’s fall into fun!